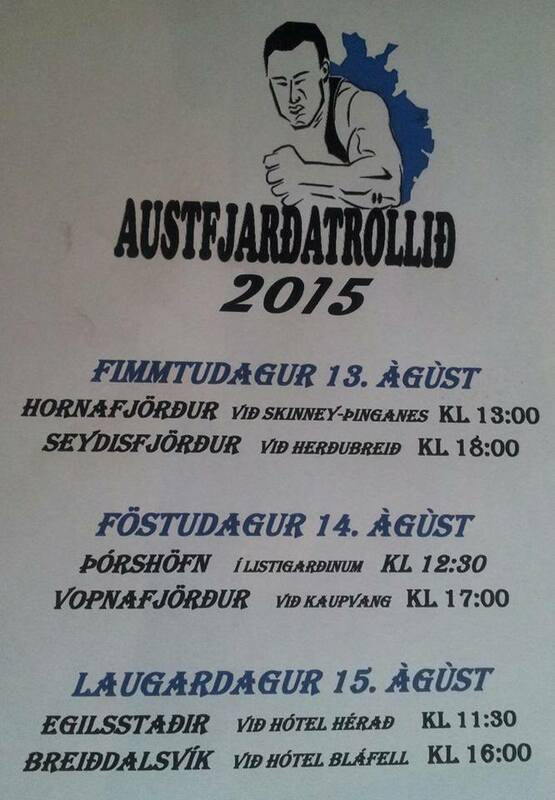 Every other year in August there is held a strong men competition in East Iceland. This is called Austfjarðatröllið or the “troll of the east”. This year the competition will be as strong as ever. The competition originated as an every year event in our very own town of Breiðdalsvík. But in the last years as it has grown bigger and more renowned it has been spread further. Now it is held in several towns around the east of Iceland. This year the event takes place 13th – 15th of August. With a few parts of the competition in several locations in East-Iceland from the south end to the north. The competition ends with a grill and live music in Breiðdalsvík after the final event.